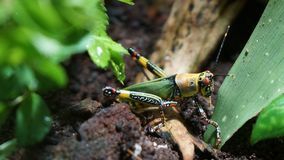 Macro locust on green stem of plant. 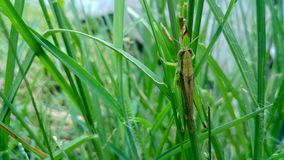 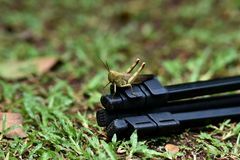 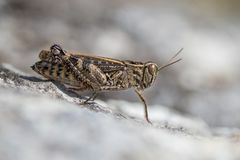 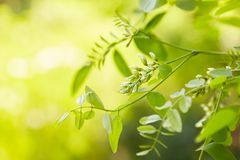 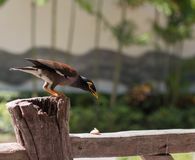 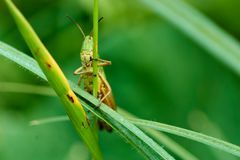 Macro photography of Grasshopper on leaf in the field, Grasshopper a plant-eating insect with long hind legs that are used for Carob Tree with Carobs in summer day Exotic Thai bird usual myna, locust Starling, Mockingbird Green locust insect on green grass. 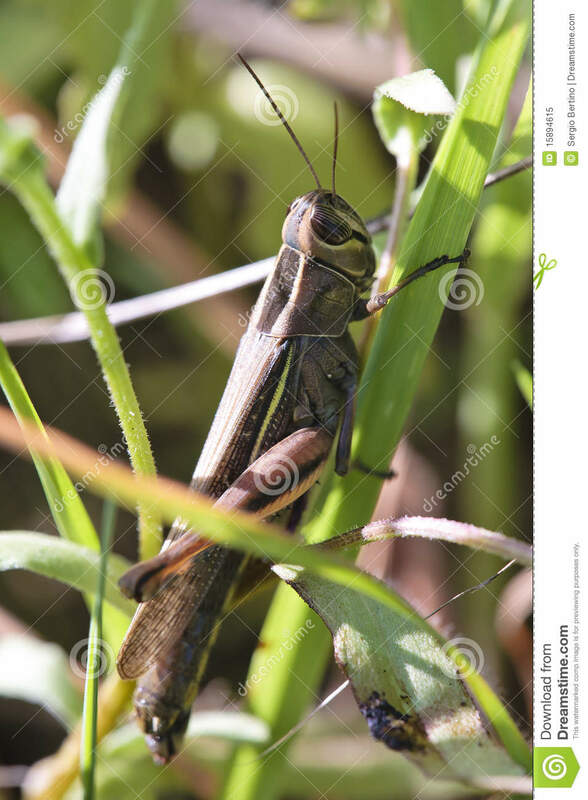 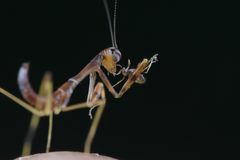 The Italian locust Calliptamus italicus in Czech Republic Brown wooded grasshopper Colorful grass hopper on soil Mantodea Mantis eating insect extreme close up White acacia flowering in a sunny day.